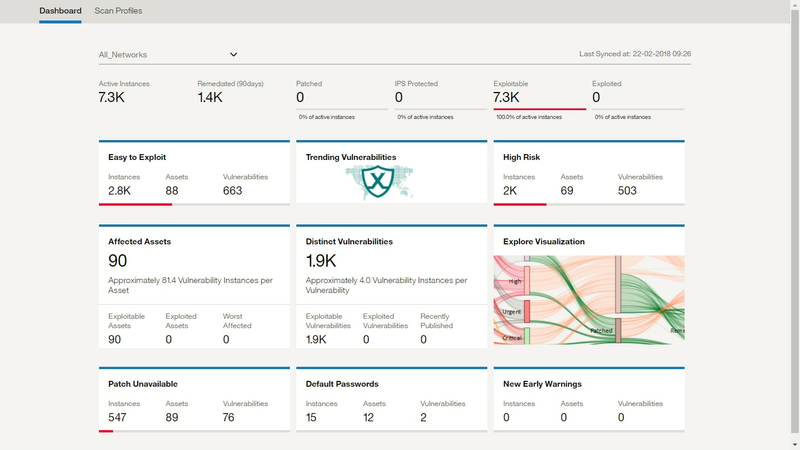 IBM® QRadar® Vulnerability Manager senses security vulnerabilities, adds context and helps prioritize remediation activities. Fully integrated with the QRadar Security Intelligence Platform, it uses advanced analytics to enrich the results of vulnerability scans to lower risk and achieve compliance. 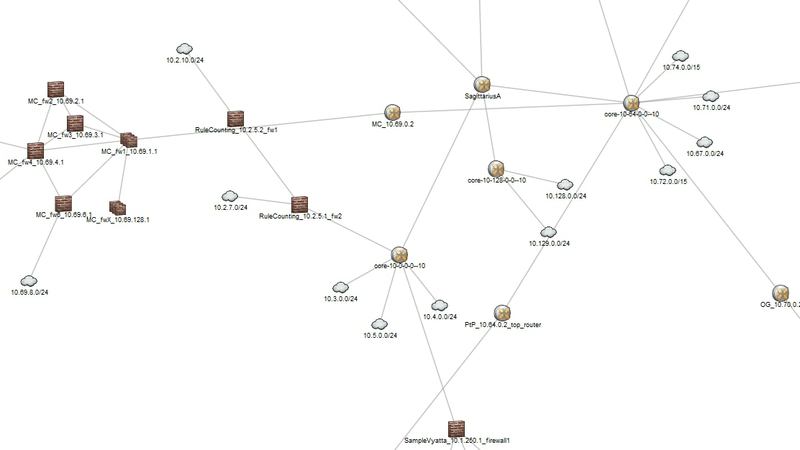 QRadar Vulnerability Manager correlates vulnerability data with network topology and connection data to intelligently manage risk. A policy engine automates compliance checks. 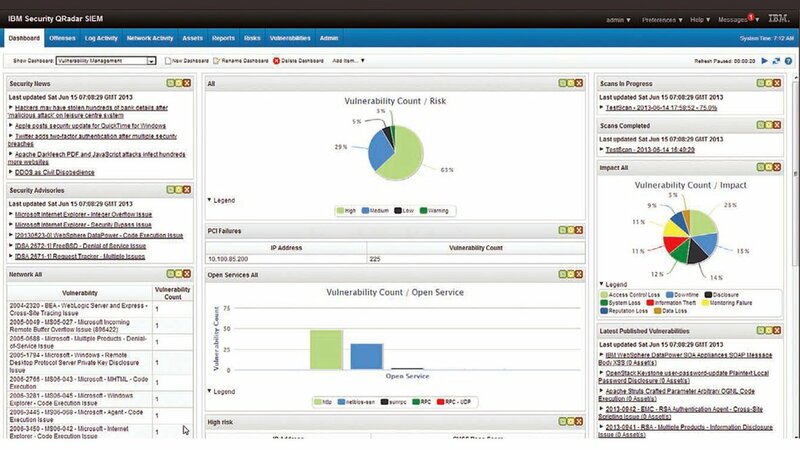 Using QRadar Vulnerability Manager will help your security team develop an optimized action plan to address security exposures to work more efficiently and decrease costs. Senses and highlights over 70,000 known dangerous default settings, misconfigurations and software flaws so you can take corrective action before an attack occurs. 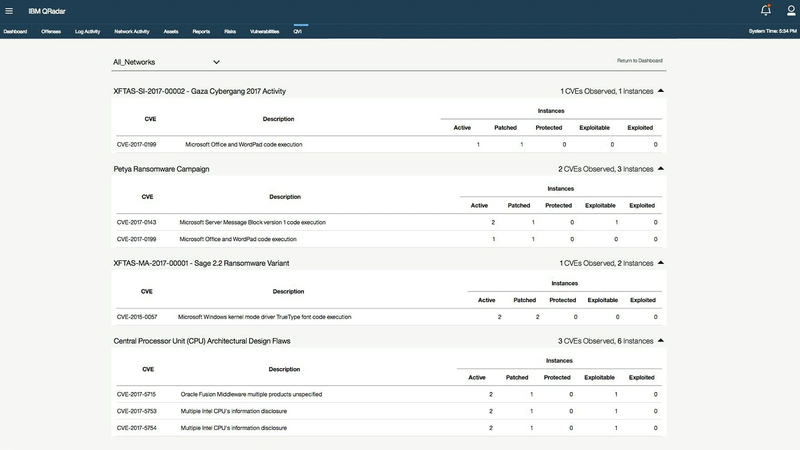 Identifies key vulnerabilities and enriches scans with network asset information, security configurations, flow data, logs and threat intelligence to address vulnerabilities and achieve compliance. Saves time and labor by combining data from IBM and third party scanners. 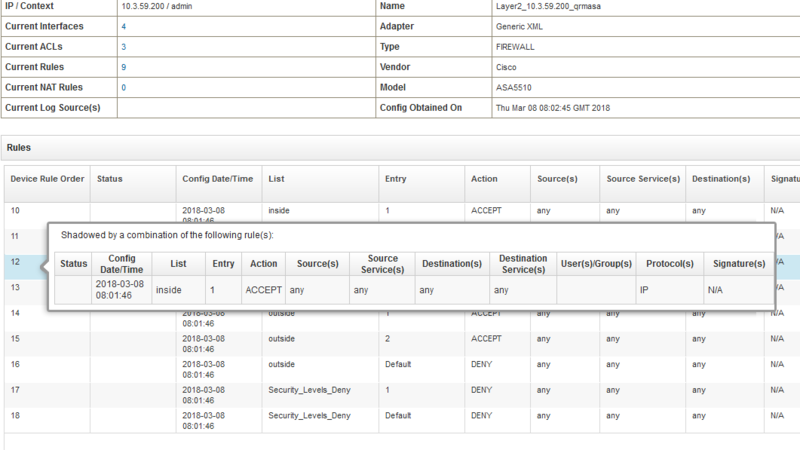 Delineates nonthreatening vulnerabilities such as those on inactive applications from critical ones needing attention.